A jounrey through the Amalfi and Sicily to taste Fiano and Greco wines, limoncello and bufalo mozzarella! Hand-picked hotels with every effort made to choose the best-rated available in tour travel areas. Breakfasts, plus a variety of lunches or dinners as per tour itinerary, including two glasses of wine. Comfortable private deluxe mini-coach with a professional licensed driver from tour origination to final drop-off point. Travel to Campania and the Amalfi to taste Fiano and Greco wines, limoncello and bufalo mozzarella and then head further south and enter some of Italy’s most beautiful and bucolic regions: Basilicata and Puglia. Discover the secrets behind Primitivo, Aglianico and Negroamaro wines, learn about orecchiette, and walk the UNESCO villages of Matera and Alberobello. Drive through Calabria and swim in pristine Tirreno sea water. Last, but not least, finish on the beautiful island of Sicily and fully absorb its flavours, cooking methods, dialects, and people – all seasoned with an incredible mix of sea, mountains, and art. This tour can be customized for independent travellers and private groups: any element can be tailored – Activities, Length, Hotels and Destinations. Call us at 1 844 691-7474 or Request a Quote. Enjoy an afternoon learning about this ancient city destroyed by the Vesuvio volcano 2,000 years ago. Led by a local professional historian. Buffalo Mozzarella: The Real Thing! You haven’t really tasted Mozzarella di Bufala until you’ve had it in Campania. A traditional product of Capaccio. It is creamy, pure white, hand-cut and delicate. Truly an experience! Go on a tasting adventure and sample anceient volcanic wines in the removed and remote region of Basilicata. Planning a vacation? 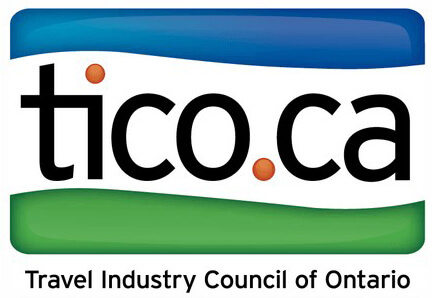 Protect your travel investment with TICO - only purchase travel services only from licensed travel agencies. You can travel with peace at mind knowing that we offer 24/7 in country. Private winery tours and tastings in the prestigious DOC and DOCG wine appellation areas (Fiano, Falanghina, Greco, Taurasi, Vulture, Primitivo di Manduria, Negroamaro, Nero di Troia, Cerasuolo di Vittoria, Marsala, etc.). A chance to sample and learn about limoncello in Amalfi and a visit to a typical "limoneto" with lunch al fresco under the pergola. Tasting and comparison of Puglia and Sicily extra-virgin olive oils. Visit to the town of Cetara on the Amalfi Coast and a tasting of 'colatura di alici', a protected Slow Food gourmet delicacy. An opportunity to learn about and sample Mozzarella di Bufala DOP. Visit to the world-famous archeological sites and ruins of Pompei, Paestum, Taormina and the Greek temples of Agrigento. Visit to the famous UNESCO site of "I Sassi di Matera" with an expert local guide. Hands-on pasta making: orecchiette pugliesi. Walking tour of the city of Lecce with a local guide. Visit to Alberobello and the unique Trulli homes. Walk on the lava and side craters of the Etna volcano. Stroll through the small streets of the Baroque towns of Ragusa Ibla and Modica (UNESCO). Many memorable meals in typical trattorie and ristoranti where you will fully absorb the traditional cuisine, customs and lifestyle. Handpicked hotels with every effort made to choose the best-rated available in tour travel areas. Comfortable private deluxe mini-coach with a professional licensed driver from tour origination to the final drop-off point. Use of professional local guides when touring areas of significant historical / artistic / cultural importance. The best tour director! -- your friendly guide who’s at your side for the entire tour and available to answer all your questions. Included are all entrance fees, applicable taxes (including hotel city taxes) as well as some of the gratuities associated with the tour. Visits to carefully selected wineries of different sizes and a chance to talk to the owners who make the wines you enjoy! For “foodies”: In-depth discussions on regional cuisine and how it pairs local wines while enjoying ‘garden to table’ meals. A perfect mix of wine and non-wine related activities. Immersion in Italy’s culture and heritage up close and often, off the beaten track. Group sizes typically consisting of 12 to 16 participants. Your travel costs to tour start and from tour endpoint. Transfers and accommodations pre- and post-tour. Any expense incurred for personal items, services or hotel room extras. Travel insurance, cancellation and medical insurance. Interested in knowing more about this trip? Fill out the form below and we’ll get back to you as soon as we can.